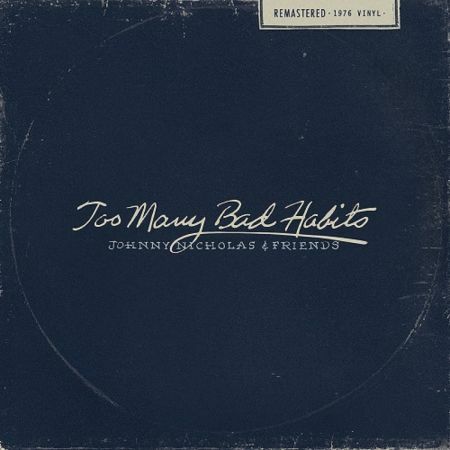 Texas-based blues and roots master Johnny Nicholas delivered a major Christmas present to the world with the recent release of Too Many Bad Habits. 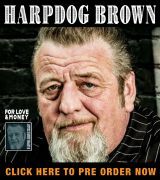 A two-CD gem, it includes the remastered rerelease of one long-lost album and breathes new life into a trio of legends – Big Walter Horton, Johnny Shines and Boogie Woogie Red – with the release of new material that was seemingly lost to the world after being captured more than 40 years ago. A native of Pawtucket, R.I., who’s called Fredericksburg, Tex., — where he owns and operates the Hilltop Café, a combination roadhouse, restaurant and bed-and-breakfast — home since the early ‘80s, Nicholas’ career began by fronting a succession of popular local ensembles in the ‘60s, including Black Cat Blues Band along with high school classmate Duke Robillard and Guitar Johnny And The Rhythm Rockers with Ronnie Earl and sax superstar Kaz Kazanoff. He spent considerable time in Chicago in the early ‘70s, touring with Robert Lockwood Jr., his primary instructor, Howlin’ Wolf, Roosevelt Sykes, Horton and Shines when not working with his own bands on the East Coast, playing guitar, mandolin and keys in addition to providing solid vocals. An originator despite his traditional background, he was also a prime mover in the famous Ann Arbor Blues Festivals during that era, leading the Boogie Brothers. The first disc of Too Many Bad Habits was recorded in Austin, Detroit and Farmington, Mich., in 1976 for the Blind Pig imprint and features several members of Asleep At The Wheel in addition to Horton and Shines. Released in 1977, it was pulled from distribution when Johnny decided to stop touring under his own name a year later to join guitarist Ray Benson and his legendary Texas swing band fulltime in a marriage that lasted two years. Nicholas produced Shines’ and Snooky Pryor’s W.C. 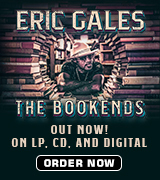 Handy Award winning album, Back To The Country, and released a handful of his own albums in the time since, but always wanted to put Too Many Bad Habits back in listeners’ hands. He finally gained possession of the masters two years ago, quickly discovering that they contained several unreleased treasures, resulting in the second disc described here. The Nicholas original, “Mandolin Boogie,” swings from the jump to open the set with Johnny backed by Benson and Wheel compatriots Lucky Oceans (drums), Bill Mabry (fiddle), Link Davis Jr. (tenor sax) and bassist Tony Garnier, who’s been Bob Dylan’s band leader for the past 25 years. The lineup varies from cut to cut and also includes bassist E.P. Jones and drummer Martin Gross who hold down rhythm for much of the compilation, which includes 15 originals about its 26 cuts. Two more originals — “Looks Can Be Deceiving” and the cover tune “Too Many Bad Habits” on which Horton and Shines make their first appearances – clearly show that there’s plenty of great, straight-ahead blues in store. Big Walter, who died at age 60 in 1981, is in absolute top form as he delivers lilting response to Nicholas’ vocals and Shines, who died at 76 a year later, provides superb guitar runs. The familiar “Sitting On Top Of The World” gives way to three more originals — “Got The Train,” aided by Wheel, a stripped-down “Rock My Blues Away,” with Johnny on guitar and piano backed by rhythm only, and “Blues Walk,” another sweet harmonica fiesta. A quintet of blues classics – Son House’s “Grinnin’ In Your Face,” Tommy Johnson’s “The New Canned Heat Blues,” “West Wind” (written and sung by Horton in duet with Nicholas on guitar), “Blues Came Fallin’ Down” (written and sung by Shines) and the traditional “Careless Love” precede the original “Gettin’ Out Of Town” (both Nicholas/Horton duets) before Robert Johnson’s “Hellhound On My Trail” brings the first disc to a satisfying close. As valuable as those tunes are, however, the true treasures lie ahead. Disc two opens with a run of six Nicholas originals that feature Horton and Shines. “Move On Down The Line” is a duet with Nicholas and Walter at the mike. Detroit-based keyboard master Boogie Woogie Red, who was 66 when he passed in 1992, makes his first appearance to help power the stop-time pleaser “Pump Jockey Blues.” Then the walking “Believe I’ll Make A Change,” slow “Prisoner Blues,” uptempo instrumental “Apple Groove Rhumba” and walking “Looks Can Be Deceiving” give Shines and Horton plenty of space to stretch out behind Nicholas’ vocals. A stripped-down version of Arthur “Big Boy” Crudup’s “That’s Alright Mamma” finds Nicholas accompanied solely by a drummer before Red’s in total command of the keys and mike for a version of Jay McShann’s “Hootie Blues” and backed by Nicholas and Horton. Jimmy Rogers’ “Money Marbles And Chalk” follows before the originals “Lonesome Traveler” (another Nicholas/Horton duet) and “Froggy Bottom.” St. Louis Jimmy Oden’s “Soon Forgotten” features Big Walter and Red to bring the set to a close. 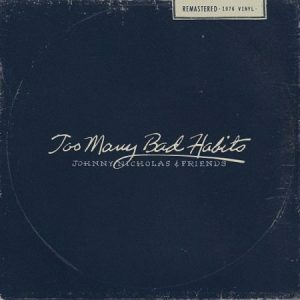 Available in both disc and LP formats through CDBaby or direct from the artist at the website above, Too Many Bad Habits is a treasure. If your tastes run to traditional Chicago blues, this one will have you yearning for more – even after the hour-and-a-half of music you’ll hear here has run its course.